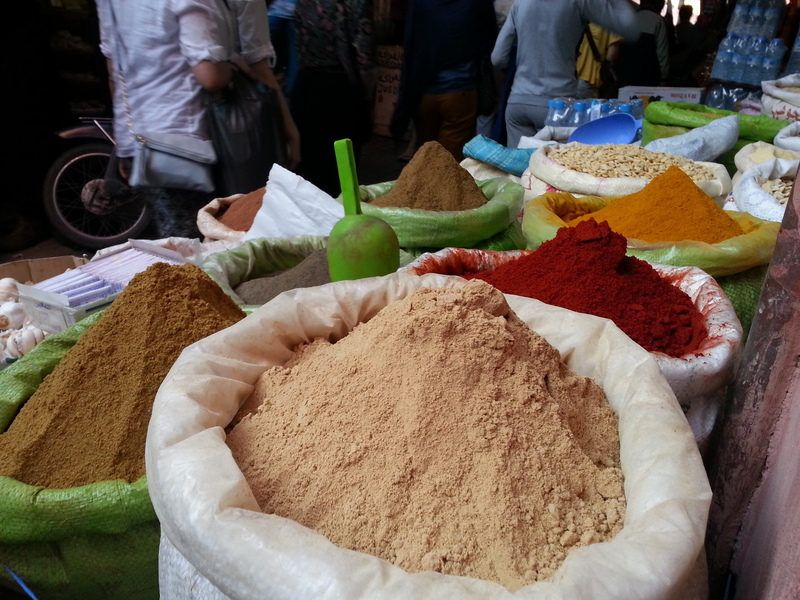 Can´t seem to shake that Morocco feeling any time soon. Apparently neither can the big interior makers of Norway either. 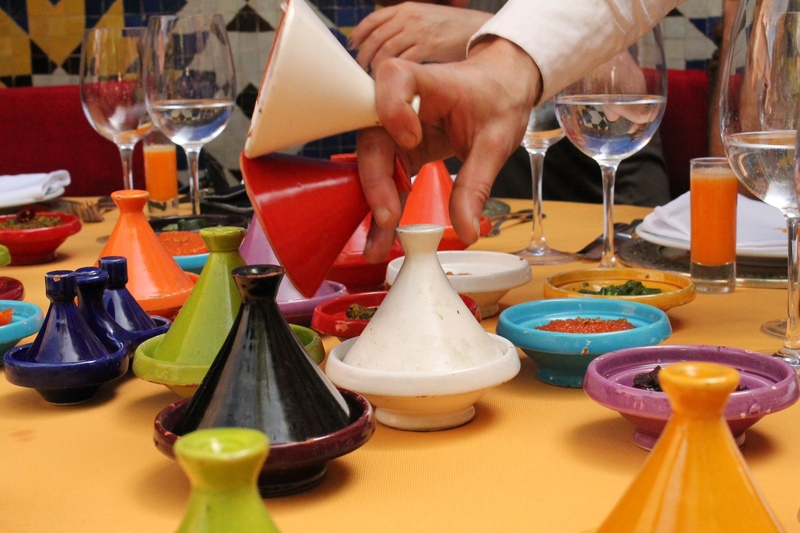 I can tell that many of this springs trends is coming from Morocco. And to tell you the truth I would have no trouble filling up an entire container with goods. 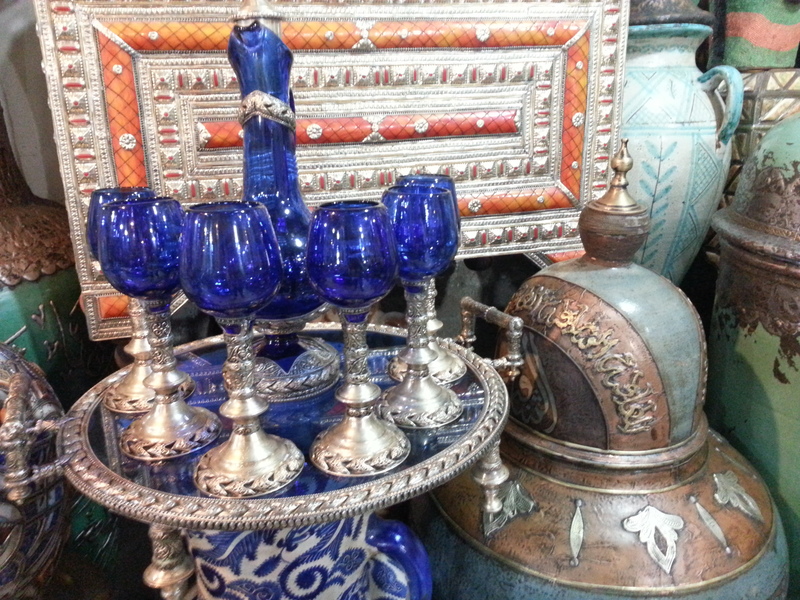 Check out these great lamps I found being sold inside the souk. My longing for such a lamp has gotten no less. I remember visiting here 15 years ago and even back then I wanted one of these lamps. My taste in interior decor have changed slightly since then but not much. I know for sure that one of those lamps hanging on one of those floor displays would look absolutely great on my patio this summer. Here is the trouble with having just 4 days to travel. It is limited time and also limited with space in suitcase – so how to bring home all these nice goodies. 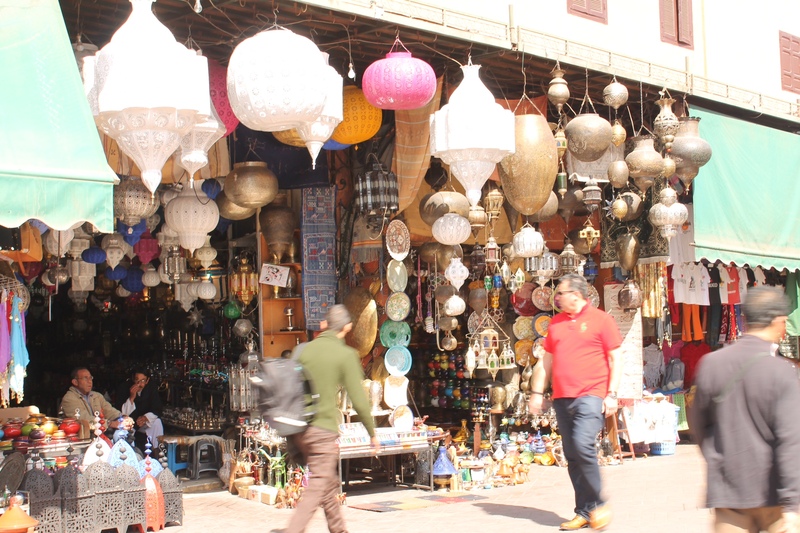 After taken the tour of the souk you can pretty much decorate your entire home. Big lamps or smaller ones, leather in all sizes and varieties such as a nice stool or a lovely weekend bag. 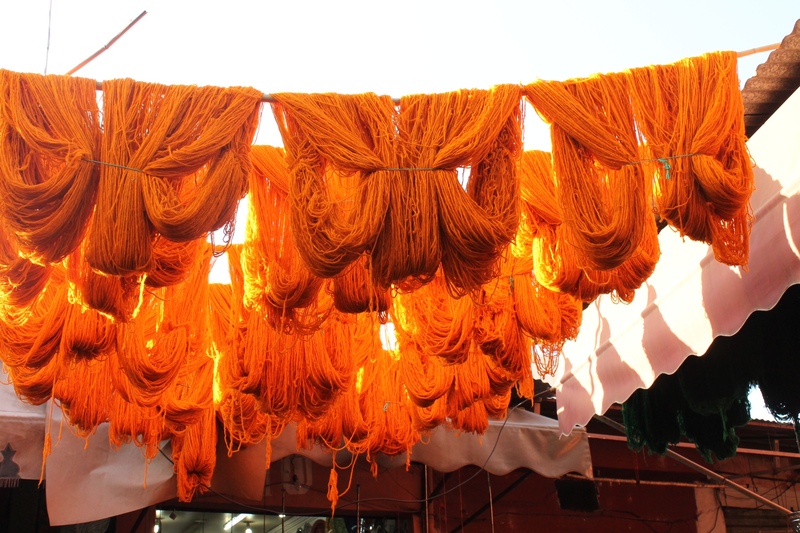 Don’t forget all the beautiful textiles and the carpets. 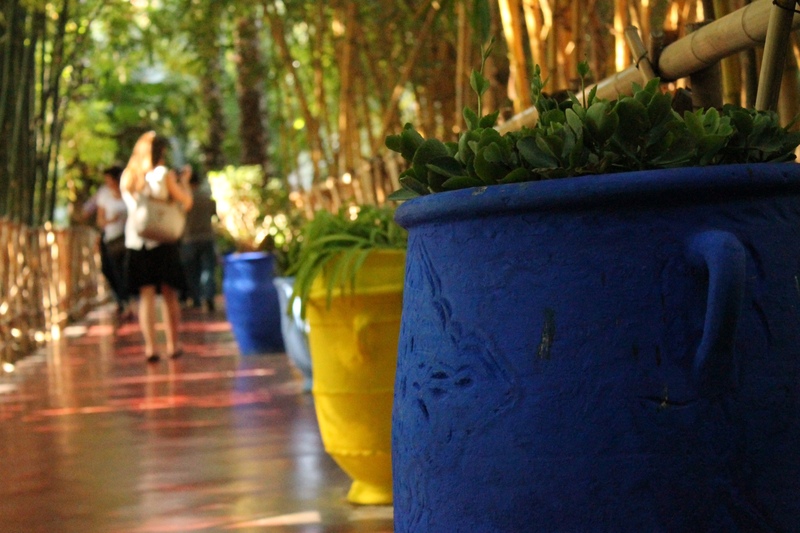 And why not bring home some colorful tiles? 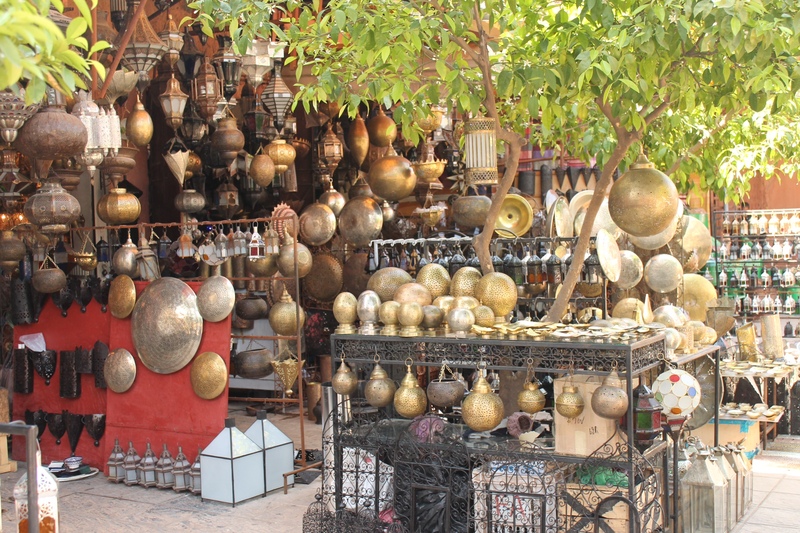 You will find many interior designers travelling to Marrakech and Morocco for tips and ideas, even big shopping sprees. Got pinterest? 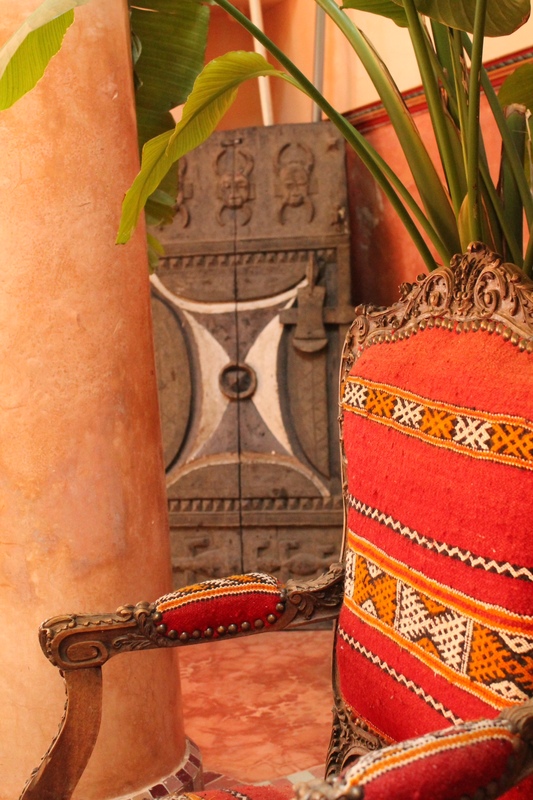 check out this board with moroccan interior/decor here. If you are interested in checking out the local interior shops in Stavanger, Ann-Mari from the blog: alltidreiseklar.blogpost.se have a great post with updated shops here. 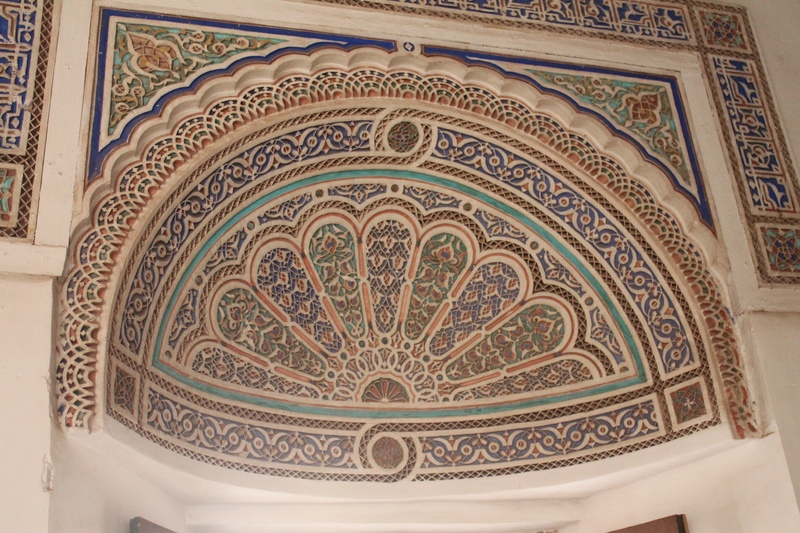 Morrocan Interior fits any home or any decor. I love it. 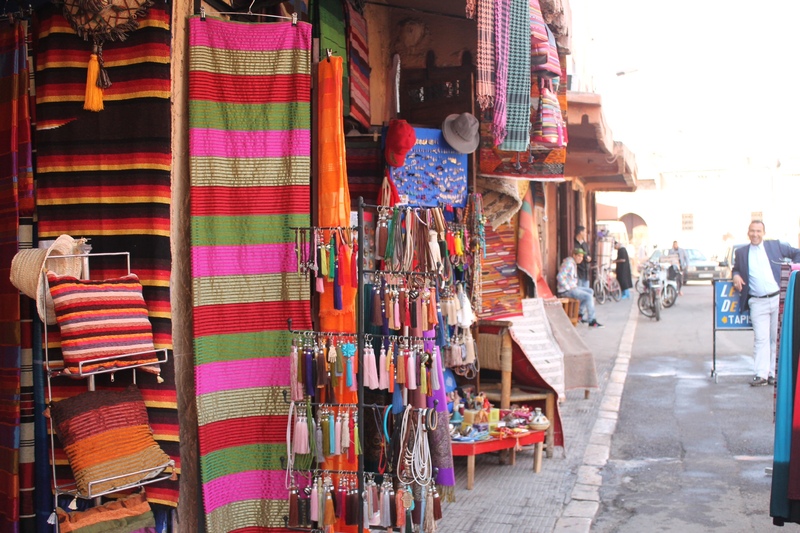 The pink City, Marrakech – the city of color. 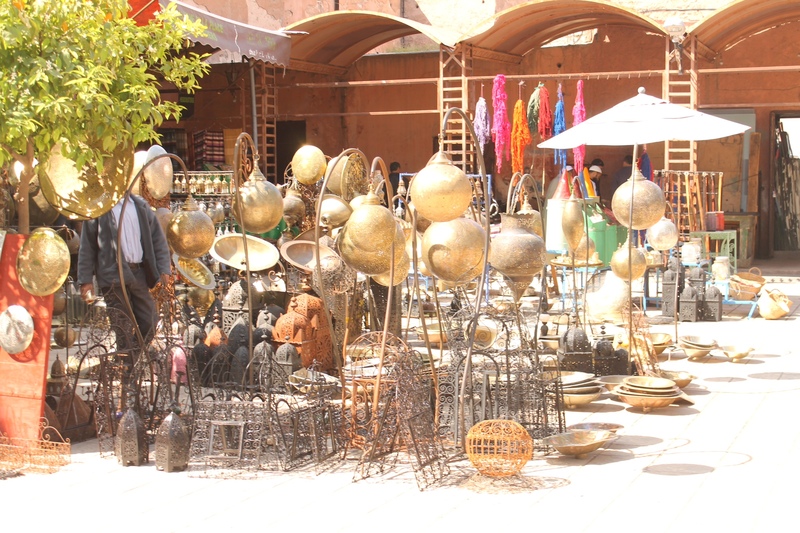 Marrakech is truly the 1001 nights in real life. 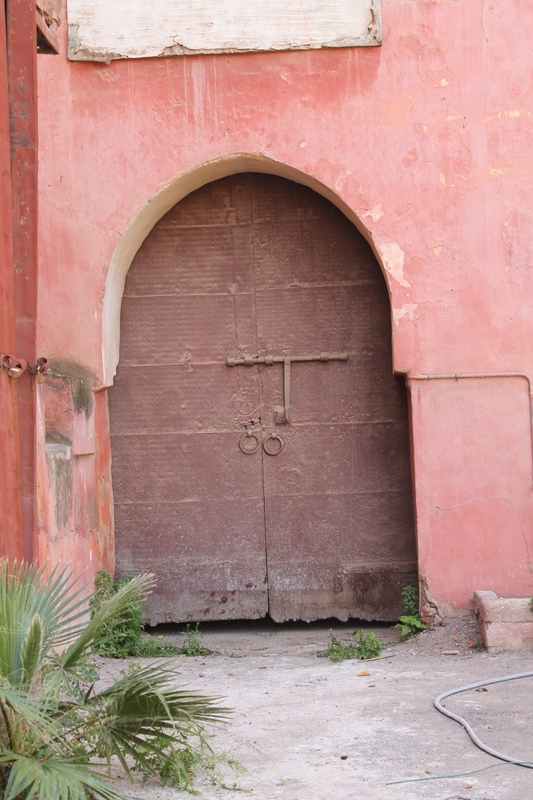 It is called the pink (or sometimes red) city due to its color of the city walls. 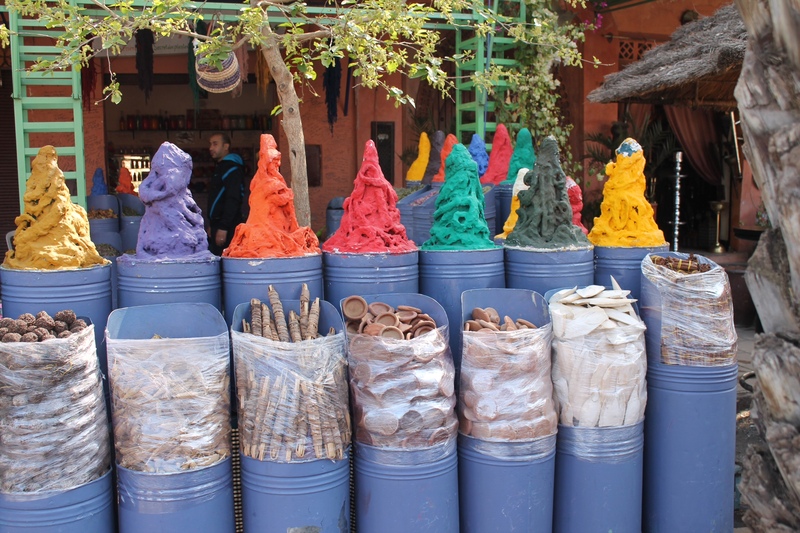 Located at the north of the foothills of the amazing snowcapped Atlas mountains. 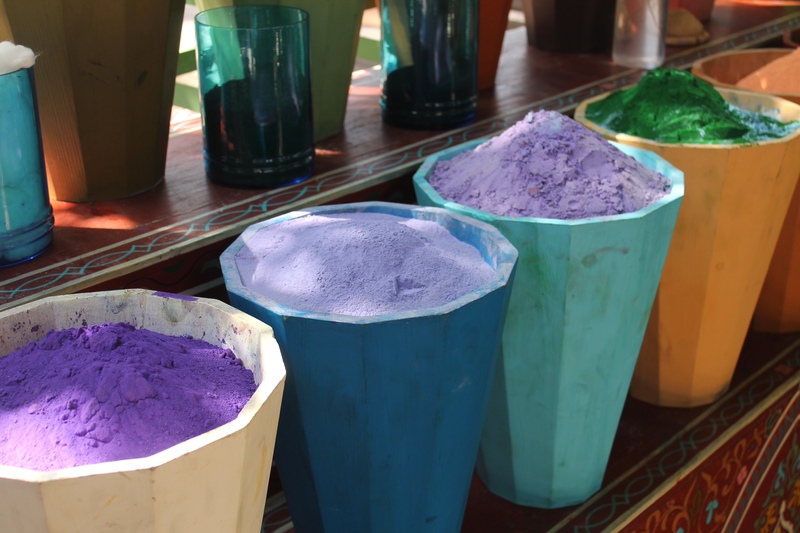 The pink color is originated from the pigment of the local clay and new regulations claim that every new house or building must be given this pink color. And not to be forgotten when speaking of color. 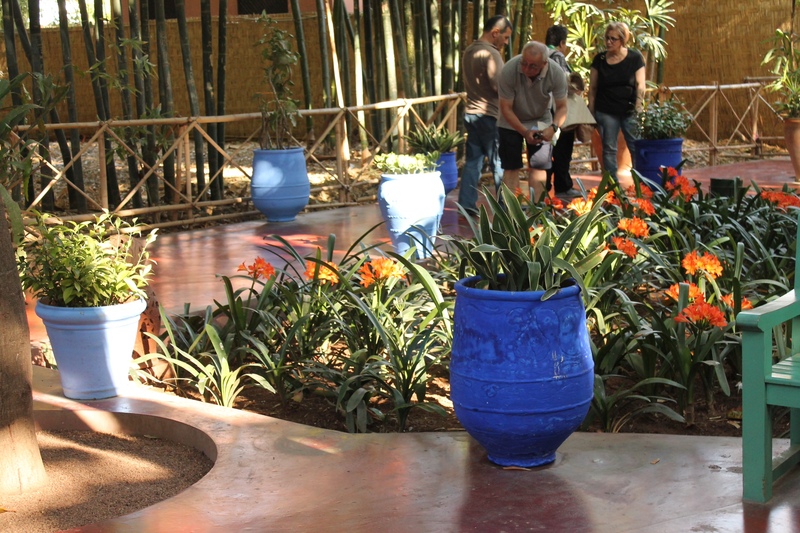 The Majorelle garden. 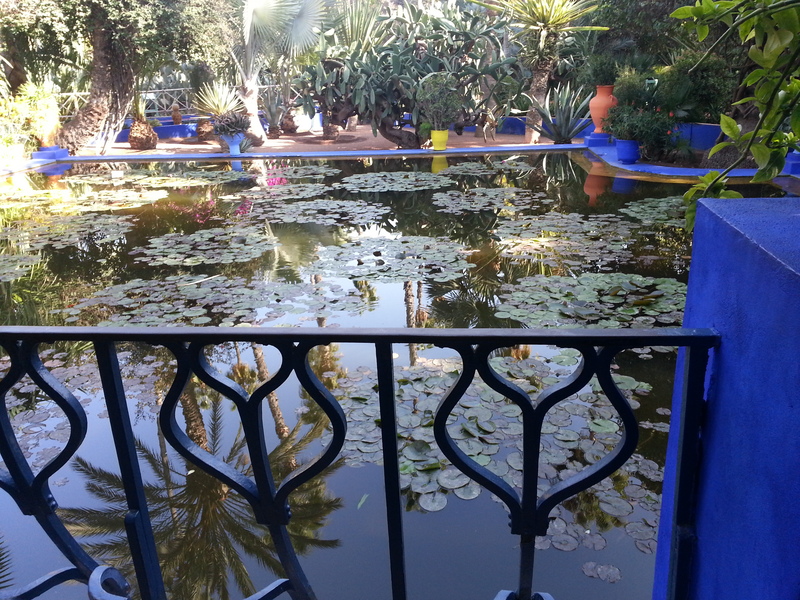 Used to belong to the famous designer Yves Saint Laurent but was formed by the french artist Jacques Majorelle. The garden it selves is not very big but the colors are breathtaking. 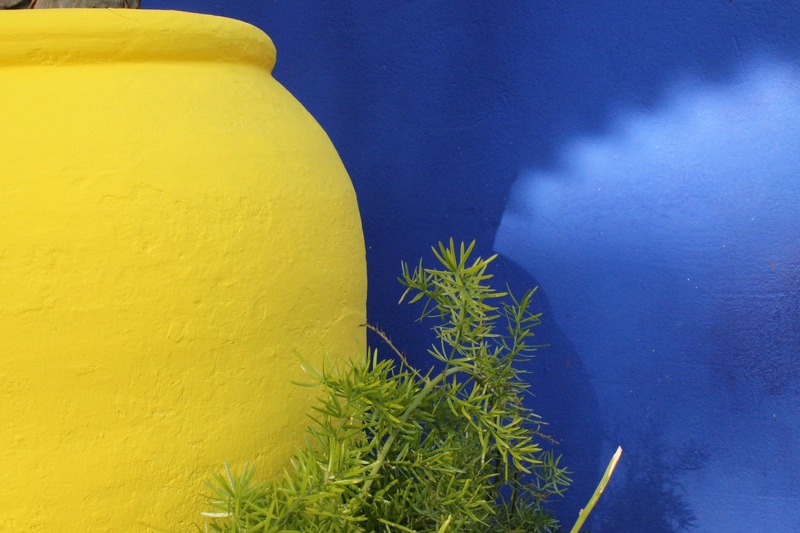 It even has its own color – the majorelle blue. Worth the trip while, but I recommend you do it in the afternoon. 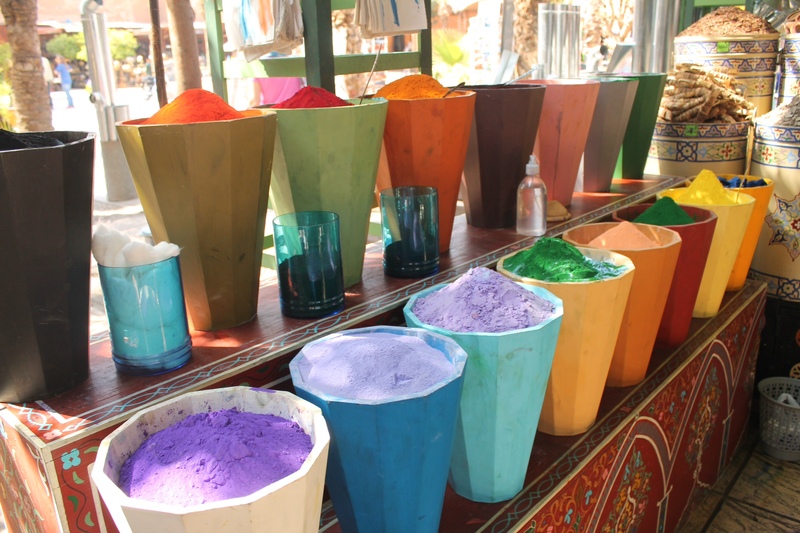 This is my second time to Marrakech and I never get tired of all its color and it makes me want to come back time after time. 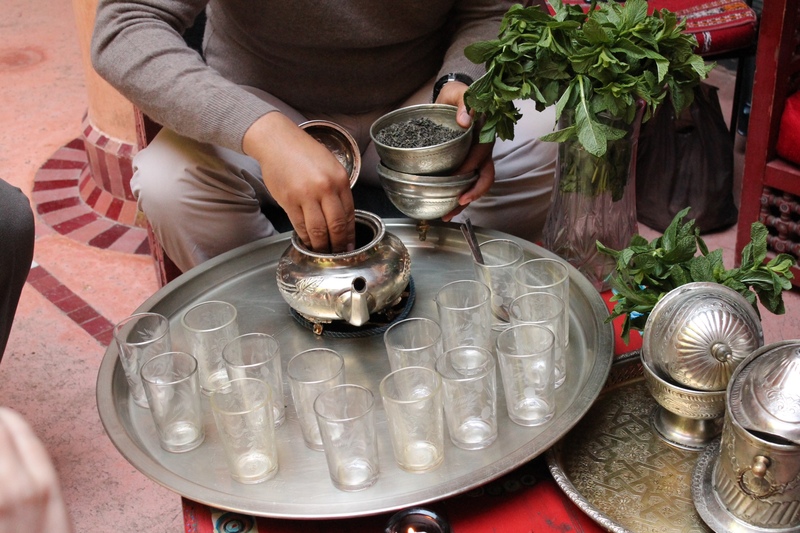 At our recently trip to Morocco, we were treated to quite the amount of mint tea. 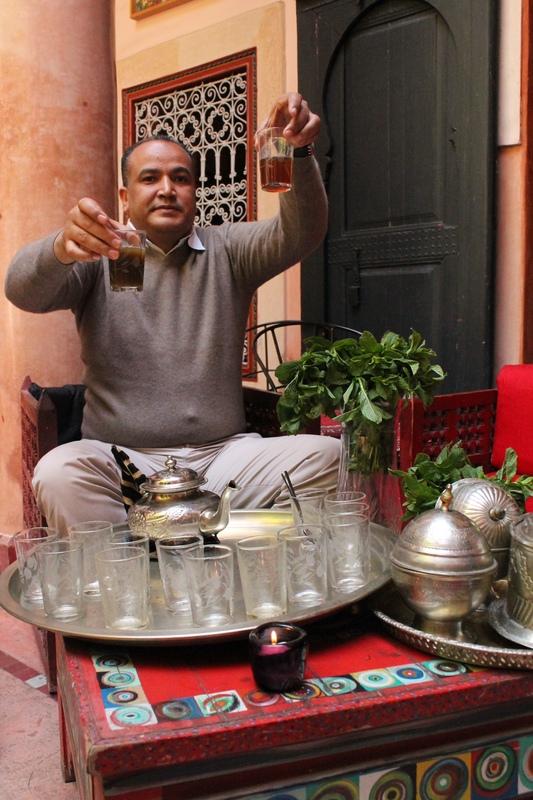 The moroccans make their tea with pride. As we were demonstrated in the lovely Riad Chorfa by our tour organizer. Mint tea is a sign of hospitality, friendship and tradition. Served all day long and if you make your way in to the souk/medina for some shopping you may very well be treated to some mint tea during the bargaining. The tea is made the old fashion way with gunpowder green tea and is served very sweet often garnished with some mint leaves. 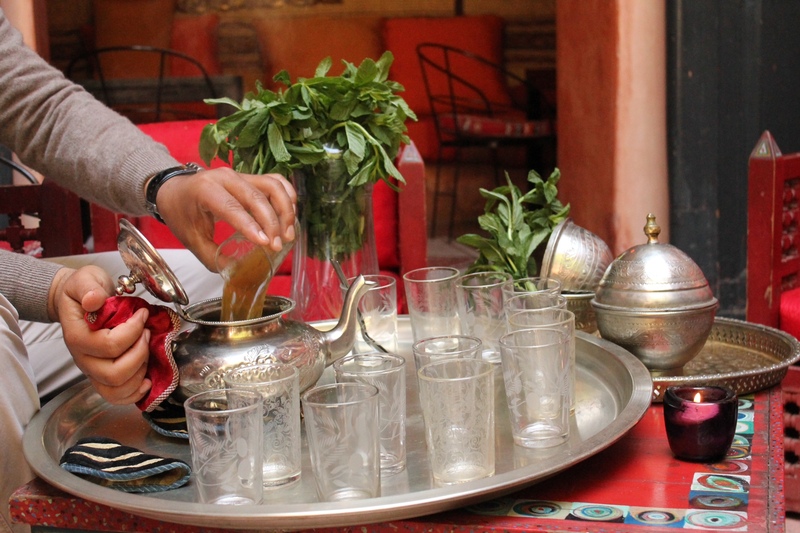 Here as shown in above picture you have the gunpowder green tea in a traditional moroccan teapot. Fill up one a small cup of boiled water and let sit for a little while. After about 1-2 minutes swirl the pot and pour one cup, discard this as this is dirty tea. You can clearly see the difference between the dirty and clean tea – dark being the dirty. Then you add the fresh mint leaves and a ton of sugar. To bad I did not get a picture of the massive sugar cubes he used, one stick probably equals 10-15 normal sugar cubes. Add more water and put to a boiler. When the water has boiled you may start the pouring. 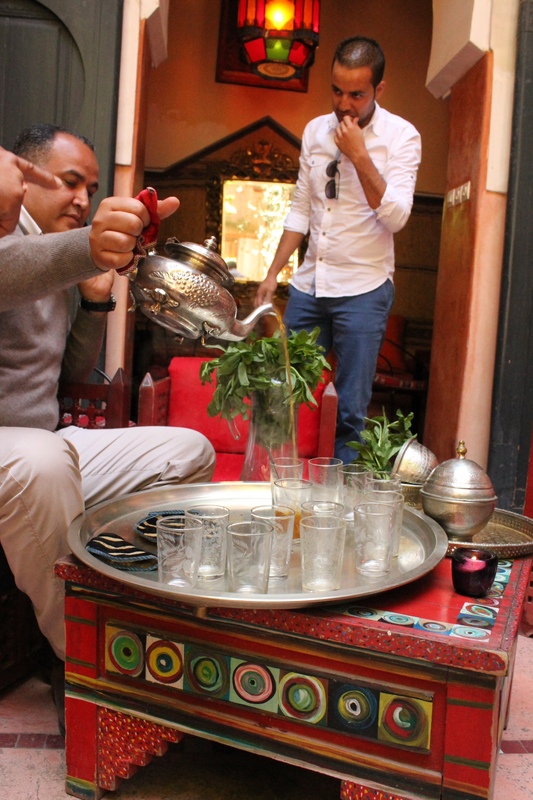 And If you have ever got served moroccan mint tea you know they pour one cup and put it back in the teapot, this they to 2-3 times and the only reason is to dissolve the sugar.